Cooperatives and the U.S. cotton industry lost a loyal and staunch supporter with the passing of Gulf Compress President and CEO David Fields in April. The son of a co-op gin manager, David joined the staff of Gulf Compress, headquartered in Corpus Christi, Texas, in 1995 and became President and CEO in 2008. 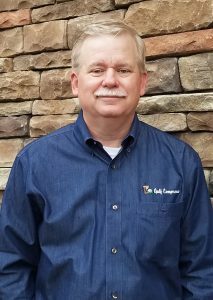 Prior to joining Gulf Compress, David spent almost 14 years at Plains Cotton Cooperative Association (PCCA) in Lubbock. He also worked at Acuff Co-op Gin. 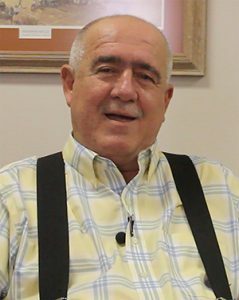 He was a past president of the Texas Agricultural Cooperative Council and was named its Cooperator of the Year in 2012, and he was honored as Warehouseman of the Year by the Texas Cotton Association. David was a member of the South Texas Cotton & Grain Producers Association and the Cotton Growers Warehouse Association. “David was a true co-op man,” said PCCA President and CEO Kevin Brinkley. “He always tried to provide the best possible service at Gulf because he knew it would help improve returns to his growers. He genuinely cared about everyone including his growers, gin managers, shippers and employees. The Gulf Compress Board of Directors named Robert Swize the cooperative’s President and CEO in April. Robert joined the co-op’s staff in August 2008 as Vice President of Administration. the Texas Agricultural Extension Service in Nueces County. For the next four years, some of his duties included working with demonstration plots for cotton varieties and micronutrient management. Robert spent the next nine years as Associate Director and Interim Director for the Santa Gertrudis Breeders International in Kingsville, Texas. He then spent six years as Executive Director of the American Boer Goat Association in San Angelo, Texas. Robert and his wife of 27 years, Sharon, have three children: Alexandria (Alex), Carolyn, and Justin.